Are we facing a Sydney style correction which will see property prices free fall in Melbourne or is this just a seasonal adjustment? In this week’s market wrap Peter Sarmas examines Melbourne’s property market. He looks at interest rates, the economy and talks about how these factors affect Melbourne’s current house prices. A clearance rate of 67 per cent was recorded this week compared to 65 per cent last week and 65 per cent this week last year. There were 1467 auctions reported to the REIV this weekend, with 981 selling and 486 being passed in, 218 of those on a vendor bid. It has been a record month, with about 5,700 auctions held – 300 more than in November last year. Is It A Rise In Stock Levels Or A Correction? Touted as the biggest weekend for auctions on record in Australia with over 2700 houses and apartments going under the hammer. A staggering 1850 were reportedly being sold in Melbourne alone, as vendors scrambled to cash in before Christmas. We have been saying for a number of months now, anyone considering selling their home should make haste and put their home on the market to beat the rush. True to our word the clearance rates and property prices appear to have deteriorated as a result of oversupply, evident in some parts of Melbourne more than others. The question is whether we are facing a Sydney style correction which will see property prices free fall in Melbourne as well, or is this just a seasonal adjustment? Well I guess it depends on what you are reading and who you are listening to at the minute because there sure are some mixed messages about the property market as well as the economy. One minute our GDP is predicted to grow, the next there is a negative forecast and we are heading backwards. Business confidence is up and investment looks strong then the latest figures show the complete opposite. Even consumer confidence is said to be waning on the back of the Turnbull government’s speculation on hiking the gst, tinkering with our super funds and looking at negative gearing all to raise much needed revenue. And what of interest rates? Speculation is rife on whether interest rates will rise or fall. You see interest rate changes no longer appear to be controlled by the Reserve Bank, the “Big Four” are having their own way lifting rates in response to tougher regulations, they say. So if you’re feeling a bit less confident its no wonder with all that’s happening around us! So where is it all going to end? Well certainly it won’t be anything like Slater and Gordon’s shares which have plummeted from $8.00 to 69 cents. No, quality property is not like shares and prices do not fall out of the sky unless of course the property purchased has been speculative and in a mining town. Those spruikers who have been promoting this type of speculation should be hung out to dry. Many unsophisticated mum and dad investors are now realising that what goes up must come down, counting their losses in the $100’s of thousands. Let’s keep in mind that Melbourne house prices have experienced a 12.8% increase in the past 12 months and despite housing supply moving through a record peak, median price growth is expected to drop to single-digit figures next year, let’s not be too upset about that! Of the 1467 sales reported to the REIV over the weekend 981 sold and 486 passed in, 218 on a vendor bid, bringing the clearance rate to 67%. This is reassuring when compared to last year’s clearance rate of 65%. Unless the rest of the 400 odd properties yet to be reported skew the results significantly downward midweek, the Melbourne property market has held up well and for me tends to point to being more balanced than strong. There is no doubt many vendors are having to revise their reserve price down in order to achieve a sale, which means buyers not vendors have the upper hand in some areas while in others its business as usual. 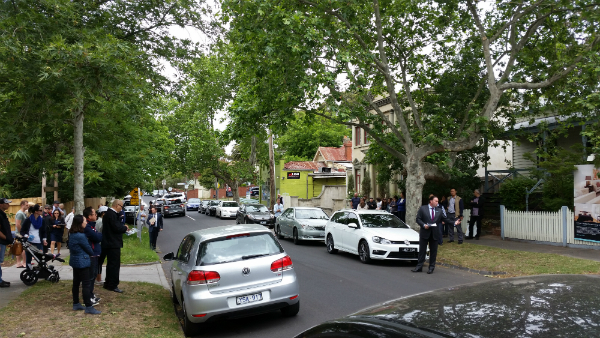 Case in point, we were asked to bid on property located at 39 Spencer Rd, Camberwell on Saturday. In front of a 50 strong crowd more than four bidders engaged the Jellis Craig auctioneer with the final bid falling to an advocate at $1.755mil. For my client it was a no go. I talked them out of investing $2.6million in a knock down and build as there were too many issues with the land and surrounding properties to justify that sort of spend. The last thing you want to do is buy or build and own the most expensive house in a “B Grade” location with graffiti. However for a homeowner the price for the area may have appeared to be close to on par and fair value. The general consensus among pundits is that Chinese money isn’t flowing as freely as it has in the past. Booming areas like Balwyn and Balwyn Nth have seen a devastating turn of events the past few weeks. This weekend Domain reported 21 of the 34 properties pass in, that’s 38% clearance rate. So either the vendors are sticking to their guns in the hope of more money or the buyers don’t see value at the expected price or both. The one certain thing though is as properties in an area remain unsold and stock levels begin to build, confidence in the local market starts to wane. 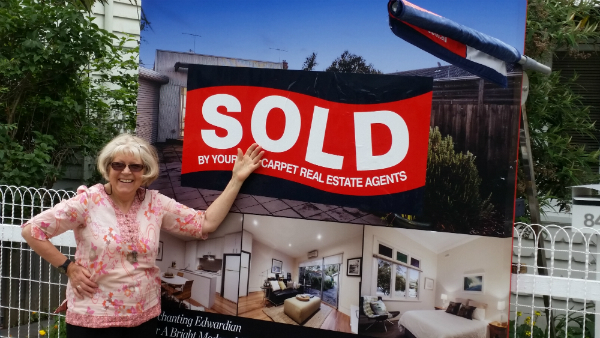 Also worth noting is the results in the darling suburb of Manningham – Doncaster East, where 7 of the 16 properties auctioned on Saturday passed in. One of the major agencies in the area had a very lack luster day with 7 from 8 auctions passing in, although negotiations were underway on a number of properties. Our lovely vendor called a few months ago saying she wanted to sell. That part sounded okay but what concerned me is that it was mid-September 2015 and I knew there would be an avalanche of auctions come end of November this year, so we needed to move and be strategic.